One of the Treyarch developers working on the next Call of Duty game has mistakenly leaked information about it's title. 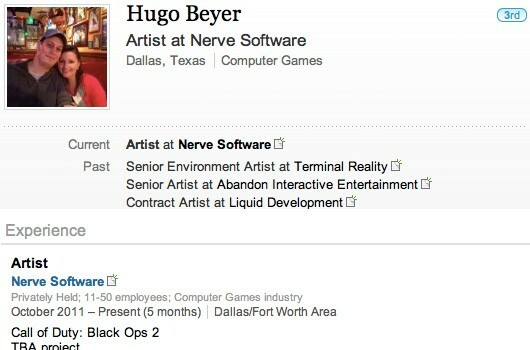 Hugo Beyer, who has worked on a number of big gaming titles in the past, publicly listed his current project as Black Ops 2 on his LinkedIn profile. In case you didn't already know, LinkedIn is a popular online business network for professionals. This has consolidated rumors that Treyarch's next game will be a sequel to their previous Call of Duty game: Black Ops.